← Small Business Saturday – Support local merchants in your community. Brilliant ideas Birgitta!! Thank you!! Great ideas! We play board games together regularly and Sorry is one of our favorites! I have recently learned of another great family game called “Spot It” which is a fast paced matching game. We have not played it yet but have given a few as gifts and they were very well received and have gotten rave reviews. Happy Holidays! Thanks for the reminder about games. Add the game “Trouble” to the list. You get to pop the “popper” and move a game piece. Same as when I was a kid! Nothing like good old fashioned board games! Love your picks! 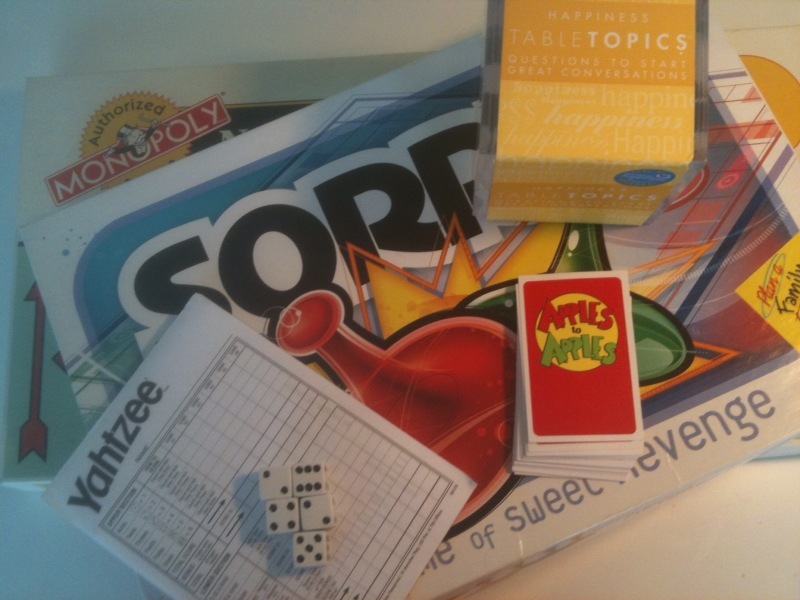 Taboo and Pictionary, along with a number of the games you’ve picked,are on our list also.